Sparesbox is your online hub for everything automotive – run by car lovers, for car lovers. From performance and 4X4 parts to tools and service essentials, Sparesbox has got everything you need to get the most out of your machine – whether it’s a classic Euro, an iconic Aussie V8, or a JDM performance weapon. Sparesbox offers one of the largest ranges of auto parts in Australia. Find great prices on some of the industry’s biggest brands — including Castrol, XForce, K&N, Bilstein, Brembo, Meguiars and many more — and get them delivered right to your door. Sparesbox online fitment tool lets you simply enter the details of your vehicle to see what parts will work with your car. Backed by a 100% fitment guarantee, it’s the best way to get the right parts, every time! 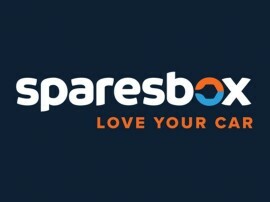 Sparesbox and Shannons Club have joined forces to offer Shannons Club members this exclusive chance to get a minimum 10% off one of Australia’s best online catalogues of auto parts and accessories. To take advantage of this exclusive offer, click the Sparesbox article link above.